We can’t think of a better way to celebrate nature’s Winter-time treats than with a brand new salad! 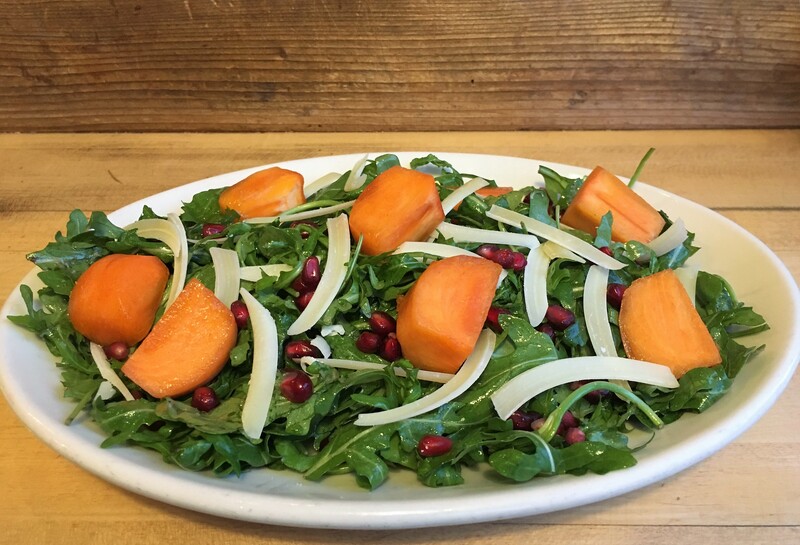 Our Oakland and Berkeley menus will be featuring the Pomegranate Persimmon Salad (say that five times fast!) for the next several weeks! This beautiful salad sits on a bed of arugula and comes with shaved Parmesan cheese and our house-made shallot vinaigrette. The sweetness of the persimmon is a perfect match for the peppery arugula and the tart pomegranate. We are excited to try out a brand new salad and we hope you are too!